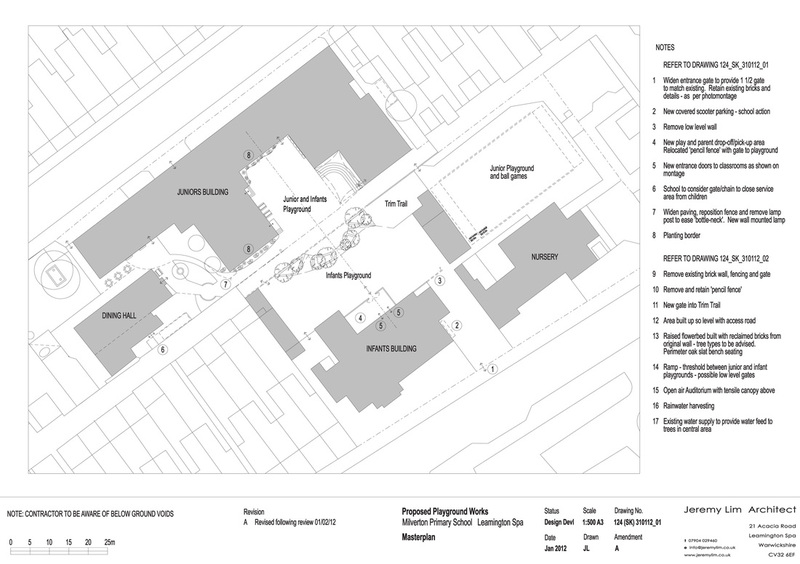 Below you can view the plans that have been developed so far. - how could they be improved further? - are there other things that we need to consider? 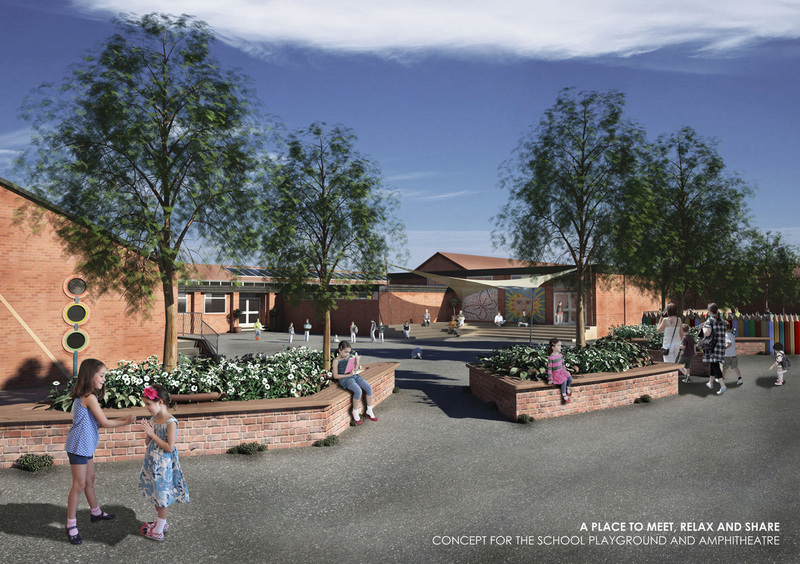 The project is based around redefining the ' heart' of the school (see picture below) and improving the flow and movement of people around the school site at the beginning and end of, and during, the school day. 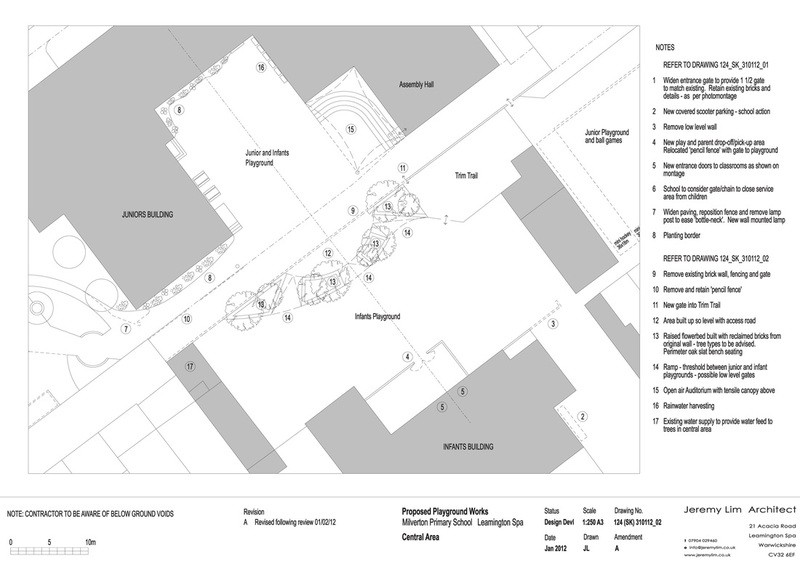 The Following two plan drawings show the different elements that would make up the project.